Thanks to Bitcoin and its recent surge in popularity, the terms “blockchain” and “blockchain technology” have entered into our common consciousness and become a big part of everyday vocabulary. Hardly a day goes by without some major publication talking about blockchain technology and how it’s going to change the world. For the most part, the media coverage targets a particular demographic: tech savvy, investment-types who have known about cryptocurrencies and blockchain long before the rest of us ever heard those terms. But what about the vast majority of people who aren’t quite sure what blockchain is and why it is such a big deal? Read on for an easy-to-understand introduction and some guidance to help businesses decide when it’s appropriate to adopt a blockchain solution. Because blockchain first became popular as the technology behind Bitcoin, many have come to regard the two as interchangeable. However, there are clear distinctions between the two: Bitcoin is a cryptocurrency, which was specifically designed to facilitate payments without third-party intermediaries, such as banks or governments getting involved. Blockchain on the other hand, is the technology that underpins Bitcoin. Let’s illustrate this with an everyday analogy: Blockchain is the operating system while Bitcoin would be an app that runs on it. In much the same way that several apps can run on one operating system, several applications can run on blockchain, and cryptocurrencies are just one example. Having made that distinction, let’s now focus on how blockchain works. When transactions are conducted in Bitcoin (and other cryptocurrencies), those transactions are recorded in “blocks.” Each block represents the most recent transaction, like a new page in a ledger. That ledger is the blockchain (so called because, well, it’s a chain of blocks!). As new transactions are conducted, new “pages” (blocks) are added to the ledger. Unlike a traditional ledger, which is kept in a central repository, blockchain is decentralized. This means that all participants (nodes) in the blockchain’s network have access to the ledger and can conduct and validate transactions on it. This decentralized nature of blockchain is its main advantage because, while centralized data is easier to control, it is also easier to manipulate. By decentralizing data, blockchain makes that data transparent to everyone involved, and eliminates the likelihood of fraud. 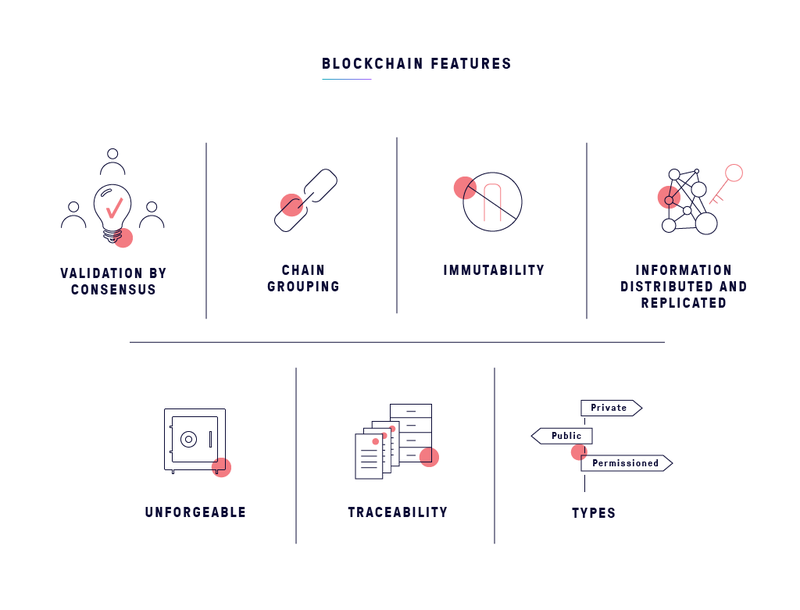 With this simplistic description of blockchain in mind, let’s now try to understand what makes this technology so special. Blockchains are continually growing as new blocks are recorded and added in chronological order. Each block is linked, assembled and secured with the use of a peer-to-peer network where members adhere to a protocol for making and validating new blocks. Blocks hold batches of valid transactions (or facts) that are hashed and encoded. Those facts can be anything from monetary transactions to content signatures. Each new block includes the hash of the previous block in the blockchain, linking the two and forming an immutable chain. This iterative process confirms the integrity of the previous block, all the way back to the original genesis block. This means that the data in any given block cannot be altered retroactively without altering subsequent blocks, which requires the collusion of the rest of the network. This is why data stored on blockchain is generally considered incorruptible, making it suitable for use where data integrity is important. For example: medical records, identity management, transaction processing, voting, food traceability, establishing the provenance of documents and recording of events. 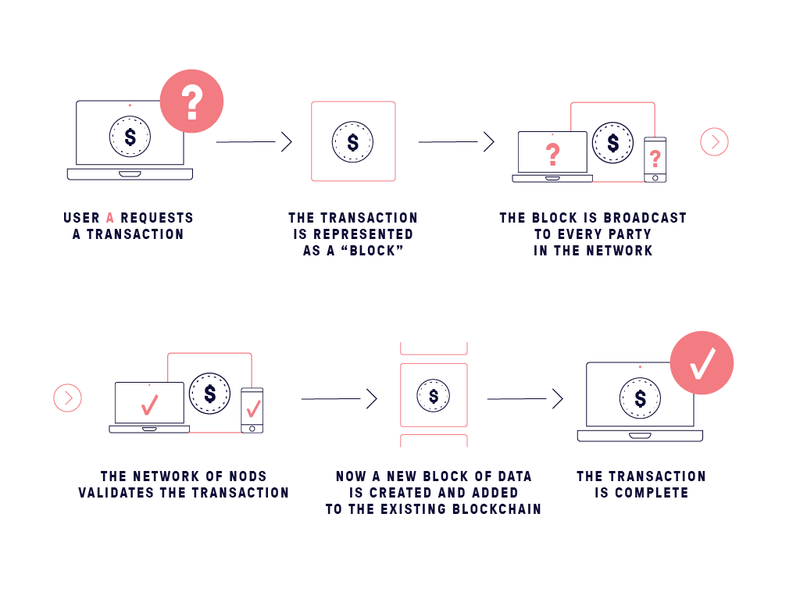 When a new transaction or an edit is made to an existing transaction in a blockchain, the different nodes within the network execute algorithms to evaluate and verify that transaction. When all nodes reach a consensus about the validity of the incoming transaction, the new block is accepted and merged into the shared ledger. If there’s no consensus, the transaction is not merged, but a record of the intent is registered for record purposes. 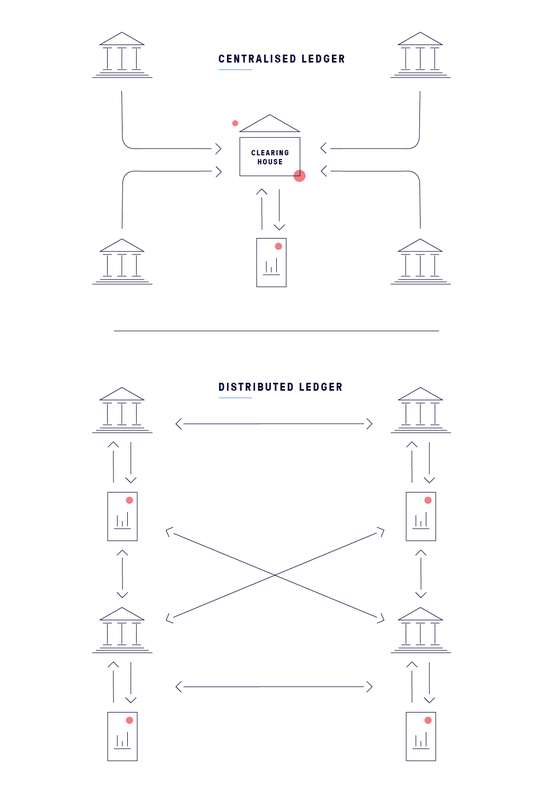 This consensus model is what allows blockchain to run as a distributed ledger, without the need for a central authority to determine which transactions are valid and which are not. One of the key attributes of blockchain is its ability to facilitate transactions between entities with a mutual distrust of each other. 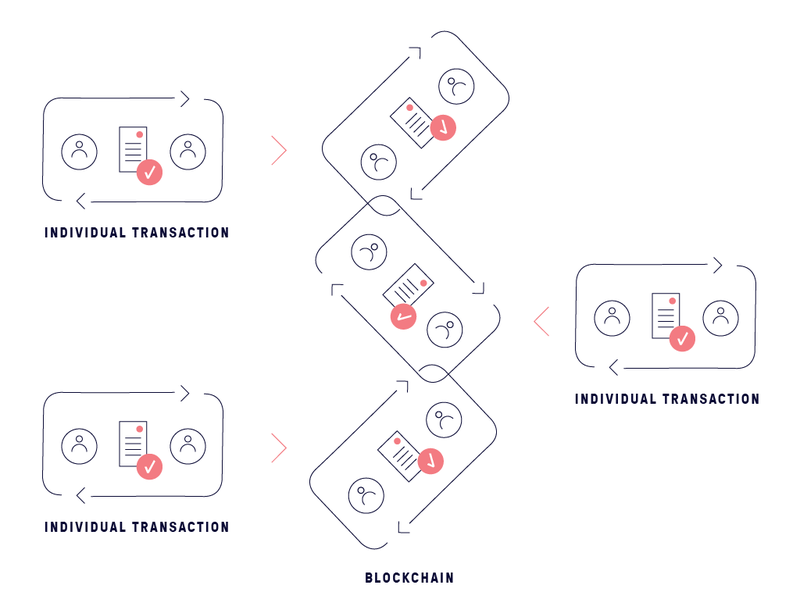 Such entities can exchange value and transact without relying on a trusted third party because blockchain’s two-tier transaction verification process, validates the integrity of their transaction and promotes transparency. One set of participants, verifiers, confirm transactions while other participants, observers, detect changes in the ledger and confirm that all transactions were properly executed. Eventually, all participants have the same view on their “copy” of the ledger. Redundancy is one of the major disadvantages of a centralized system as information has to be replicated on different physical servers, which is both time and cost inefficient. With blockchain, the ledger is replicated across all the writers automatically. Blockchains can exist as permissionless or permissioned blockchains. As the name implies, permissionless (or public) blockchain networks do not require access control. This means applications can be added to the network without the approval or trust of others. 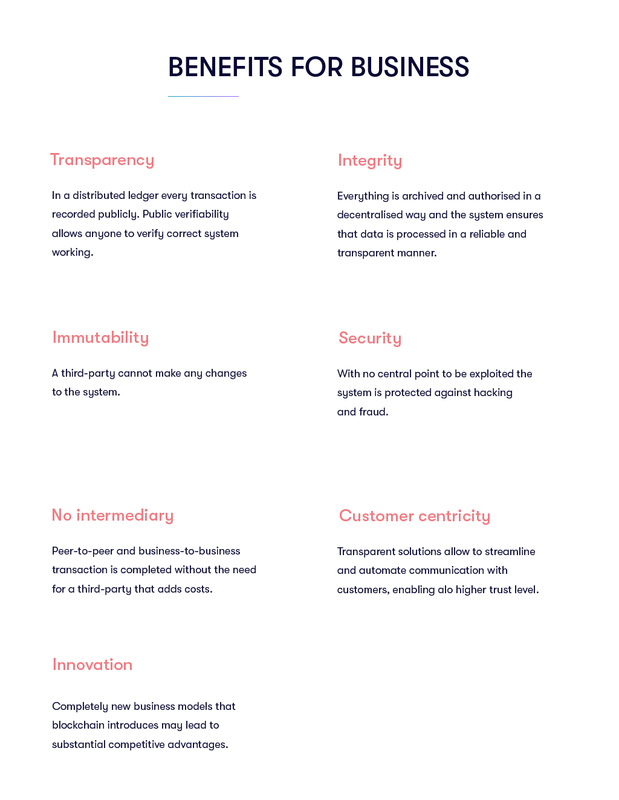 A permissioned blockchain on the other hand, uses an access control layer to govern who has access to the network, and this makes them more suitable for business networks. Blockchain can drive business efficiency. Because transactions are executed directly between the relevant parties with no intermediary, settling transactions can be quick, reducing time and cost of each transaction. Distrust is eliminated, as all the parties involved in a transaction only have to trust the technology. Auditability is improved. Since each transaction is recorded sequentially and indefinitely, an indelible audit trail is created for the life of an asset between parties. This is especially important if source data is essential in verifying an asset’s authenticity. Similarly, accountability is guaranteed. As all parties to a transaction can view the distributed ledger, everyone can agree on how the transaction is progressing while it is ongoing and how it went once it is completed. Traceability is enhanced throughout the supply chain, especially for those companies that subscribe to standards that focus on the traceability of components. With blockchain, information relating to each component can then be relayed to or from the new owner for possible action. Walmart teamed up with IBM in 2016 to improve the process of tracking the meat and poultry inventory. The blockchain technology it utilizes tracks all information (through QR code scanning) at every step of the process from the farmer to Walmart’s shelves. Maersk and IBM have devised an end-to-end shipping solution that provides all global trade organizations a single view of cargo location and allows authorities to give electronic approval for its movement. British Airways hopes to reduce conflicting flight information coming from gate monitors, flight apps, and the airline’s website by using Blockchain to build a single unchangeable history source. UPS joined the Blockchain in Trucking Alliance (BiTA) aiming for increased transparency among all groups involved in the supply chain. The group is working to develop blockchain standards for the freight industry. The uses and benefits of blockchain are much wider than virtual currencies. It can be applied in countless areas, including in business, regardless of the size of the entity. While early adoption of new technologies can be a gamble, blockchain has shown itself to be so versatile and advantageous that many businesses have become eager to explore how they can use the technology to their advantage. The pioneering businesses that start engaging with blockchain technology now will have the opportunity to shape how the rest of their industry uses blockchain, and thus gaining a competitive advantage over late adopters. We hope this helps you understand blockchain and its use cases. If you have any questions, leave us a comment and we can discuss!